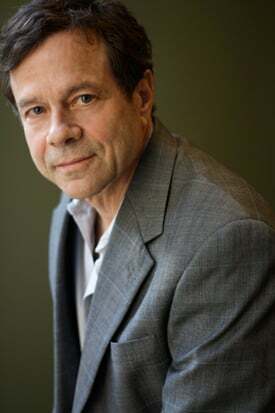 For the majority of his writing career, Alan Lightman has been quietly introducing fissures of ambiguity into the scientific community’s pronouncements on art, religion, technology and American culture. 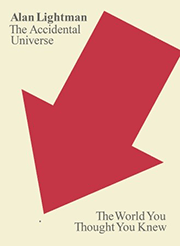 The Accidental Universe (Pantheon), Lightman’s recently published collection of essays, belongs to this endeavor, establishing thematic connections between scientific abstractions and inner experience with the warmness and rationalist melancholy that’s characteristic of his work. I put six questions to him about his new book. 1. I suppose my first question has to concern the assembly of this collection. Did you write these essays in thematic isolation at first? Did you have any notion of employing the Universe as their organizing agent? I wrote “The Accidental Universe” and “The Spiritual Universe” first, both concerning areas of thought that had been under my skin and disturbing me for some years. 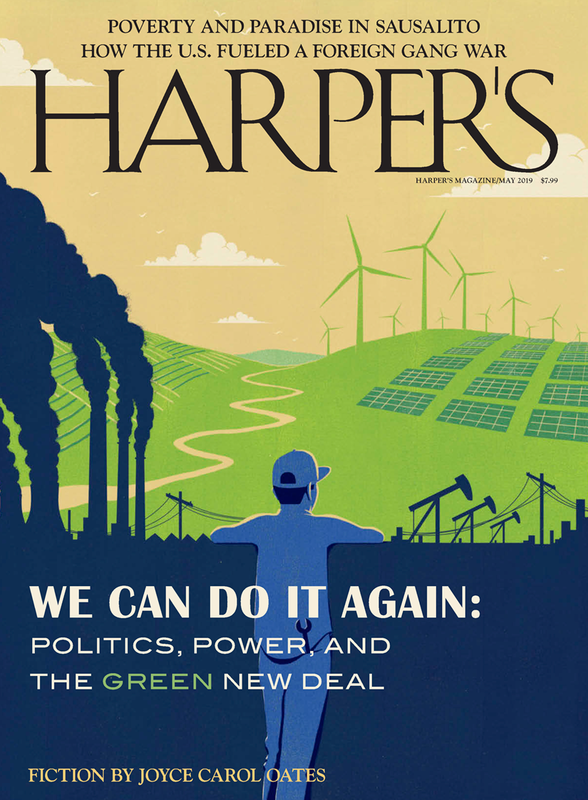 I published the first in Harper’s and the second in Salon. At that point, it occurred to me to write a series of connected essays, all with “Universe” in the title, that explored the philosophical, moral, and theological issues raised by modern science. 2. You repeatedly return to the apparent duality of your intellectual life. It hadn’t occurred to me until reading this book that this duality is not so much a reflection of you as a whole human being but of the social roles you’ve undertaken — novelist + physicist — which necessarily restrict one’s thinking in unique ways. You insist that you personally “need such distinctions to make sense of my spiritual and scientific lives” but I wanted to press you on that. Does this admixture of the spiritual/artistic and the rational/scientific feel real to you in your “lived life,” or is it an artifice that you use in writing because it yields so much discordance? Great question, and one hard to answer. Let me first restate the duality you are talking about: it is the duality between the scientist and the artist, between the rational and the intuitive, between the physical and the spiritual. Of course, all of us have all of these pieces in us; we differ only in the relative proportions. The different “social roles” I have taken on as a physicist and as a novelist, I think, originate in my lived life as well as in my intellectual life. In childhood, I had two quite different groups of friends. I had my science friends. These were the (mostly) guys who loved algebra homework, loved to build rockets, demanded a logical explanation for why people put pennies in their loafers. And I had my “art” friends. These were the people who read unassigned novels and poems, acted in school plays, and reacted impulsively to people and events. I hung out with both groups and really enjoyed being part of both communities. I built rockets, and I also wrote poetry and acted in school plays. I never felt like I was not being myself in either group. The intellectual expression of these dualities in my life came later. 3. You touch briefly on the physicist’s hope for a Theory of Everything — a complete, unified theory of reality. Perhaps, being a physicist, you could illuminate the appeal of such an apocalyptic achievement. Once an unassailable theory of nature is established, scientific inquiry is effectively over. Obviously, this is purely hypothetical, but let’s assume it were possible. Why would anyone want such a theory, especially the physicist whose creative engagement depends on mystery? First of all, I do not think we will ever have a complete theory of nature. The history of science has been a continuing progress of deeper and deeper understanding, of theories with greater and greater accuracy and predictive power. I see no reason why this progression will come to an end. But even if it did come to an end, in the sense that we had one master equation that contained all the fundamental principles of nature, there would still be a great deal for science to do. The working out of that equation and application of it to all the zillions of different physical situations of matter and energy on earth would occupy scientists for eons. That ultimate master equation would be like knowing the rules of chess. Once you know how the bishop moves and the pawn moves and the queen moves, you have not conquered the game. There are still zillions of different possible configurations on the chessboard, and lots of different strategies that need to be analyzed and explored — requiring renewed creativity. So, I see scientists in business for a long time, at least for the next 5 billion years until our sun burns out. 4. You mention Sherry Turkle, who studies social-media culture, in the final essay, “The Disembodied Universe.” You and Turkle both seem to oppose the general cultural drift toward mediated experience and the radically superficial ways by which technological apparatus characterize human personality. But is literature — something I feel safe in saying you and I treasure — not a form of mediation? No one could ever sensibly argue that reading books is a replacement for being with other people. Yet both experiences yield a different richness. Is there some sort of distinction to be made between forms of mediation? You make a good point. And I do not think there is much real difference between reading books and looking at words on a computer screen — both offer the opportunity to learn new things and to have new emotional experiences, and both can be abused and empty of content. I would have the same misgivings about a person reading a book while walking through a beautiful forest as I would a person fixated on their iPhone instead of paying attention to their physical surroundings. I believe that we need to have balanced lives. We need to have direct, immediate experience with the world and with people, in addition to inner and solitary experiences. Like Turkle, I think that there has been a cultural drift toward indirect, mediated experience with the world, brought about by the unthinking use of technology. To my mind it is one of the profound contradictions of human existence that we long for immortality, indeed fervently believe that something must be unchanging and permanent, when all the evidence in nature argues against us. I certainly have such a longing. Either I am delusional, or nature is incomplete. 5. One thing I’ve admired in your science writing is your treatment of what’s often called the “religious impulse” — the rooted, sensible intuition that life ultimately matters, even if we can’t see why. You’re frank about your own atheism — as Stephen Jay Gould was, or Richard Lewontin is — but like those scientists you don’t seem to equate atheism with nihilism, nor do you posture as an adversary to all things metaphysical. You even express some sympathy for revealed and scriptural religion in this book. A surprising sympathy, I thought. Is there any particular motivation for this approach, other than traditional decency? There is certainly more than traditional decency. I do not think spirituality and atheism are contradictory. For me, spirituality includes the belief in things larger than ourselves, an appreciation of nature and beauty, a sensitivity to the world, a feeling of shared connection with other living things, a desire to help people less fortunate than ourselves. All of these things can occur with or without God. I do not believe in the existence of God, but I consider myself a spiritual person in the manner I have just described. I call myself a spiritual atheist. I would imagine that many people are spiritual atheists. 6. Speaking of science and religion, you may have heard that Bill Nye recently debated creationist Ken Ham at the Creation Museum’s Legacy Hall in Cincinnati. Evidently, it was quite the theatre: sold-out; moderated by CNN’s Tim Foreman; streamed live through over 10,000 outlets. I’ve always seen a gladiatorial quality in these debates, which are extremely popular. This is a terribly leading question, but given the subtlety with which you approach these issues, I’m wondering if you see any particular reason for our culture’s preference for these venues? To be fair, we also like some intellectual stimulation, we’re not complete animals. A public debate about significant issues, like science versus religion, satisfies all of these desires. Unfortunately, public debates do not have much room for subtlety. The audience wants a quick thrust at your opponent, not a slow and convoluted series of moves. Whenever Obama uses subtleties in discussing a complex issue, he gets creamed.